When the doorbell rang, his elderly mother, who lives on the floor below, pushed the button to open the door without asking any questions. She assumed that a friend or a relative had come to visit. When she didn’t hear anything, she called upstairs, letting her son know that she had opened the door but that nobody had come in. Her son, Farhang Amiri, went outside to see who rang the bell. But a few minutes later, Amiri’s daughter and wife heard him moaning loudly. When they got to the door, they found his bloody body. Mayhem followed. Amiri’s daughter ran after the man who had been talking with her father. She screamed so much, the neighbors came out to help, and they caught a man. He had plunged a knife in her father’s back, while a second man struck his face and his midriff. Half an hour later, the ambulance arrived. But by then, Farhang Amiri was dead. The two men who carried out the attack on September 26, 2016 are brothers. 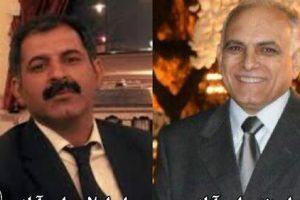 “He was a Baha’i, so we killed him to buy us paradise for seven generations,” they wrote on their interrogation papers. 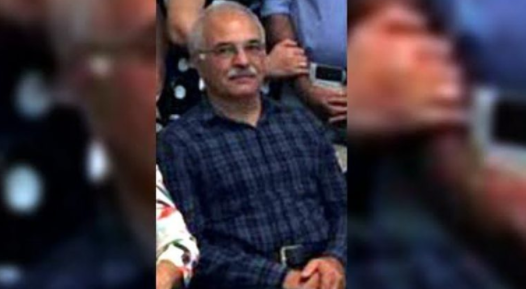 On October 27, the Baha’i community issued a warning to Baha’is in Iran, informing them of what happened to Amiri and saying they might be in similar danger. 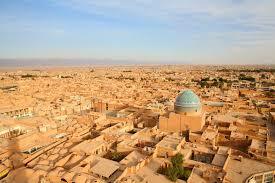 Farhang Amiri lived in the ancient city of Yazd in central Iran. He was 63 years old and retired. He was the father of two daughters and two sons. According to people who knew him, he did not know his killers, had no enemies, and had never proselytized for the Baha’i faith. They said he always instructed other Baha’is to proselytize through their behavior rather than with their tongues. This is the second time that Amiri’s mother has lost a loved one because of their religion. On his paternal side, Farhang’s family were originally Muslims who converted to the Baha’i faith. His mother’s side of the family were originally Zoroastrians who had also converted. And they have paid for it. 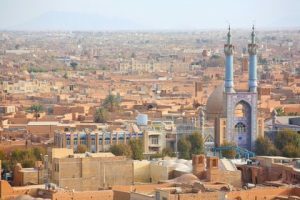 A group of extremists murdered Amiri’s father, Hedayatollah Daftari, and six others in the village of Hormozak in Yazd province more than 60 years ago. At the time, Farhang was 13 months old, his older brother was five years old and his mother was a young woman of no more than 22. Baha’is have a name for those killed on that day: the Seven Martyrs of Hormozak. In 1955, Hormozak was a Baha’i village. Following the radio broadcast of a series of inflammatory anti-Baha’i speeches by the preacher Ayatollah Falsafi, a large group of extremists from surrounding villages stormed Baha’i homes in Hormozak and brutally killed the seven Baha’is using knives and farm instruments. All the victims were close relatives of Farhang, his uncles and cousins among them. Without a father, Farhang and his brother had a difficult childhood. As teenagers, they began working in an eyewear store at the Yazd bazaar; eventually, they opened their own shop. Soon after the 1979 Islamic Revolution, they went to open the shop as they had on so many mornings, but the shop door had been padlocked. They tried everything, but it was no use. They were forced to accept that their shop had been forcibly closed. They decided to use their savings and go into the transportation business. First they bought a delivery truck, and then a tractor-trailer, so they could work with transportation companies. With the proceeds from this business, they bought some land and a house. Soon, though, their properties were once again confiscated because they were Baha’is. But Farhang Amiri did not give up. He went into farming on a small plot of land near Hormozak, the same village where his father was murdered. The day before Farhang Amiri was murdered, one of his sons met his killers. Reports show that the murder was planned. But it is unlikely that the criminals will be sentenced under the Islamic laws of qesas or “retribution” — because they are Muslims who killed a non-Muslim. Investigations into Farhang Amiri’s murder are still ongoing, but his family have no hope that justice will be done. Their experiences, and the experiences of other Baha’is in the Islamic Republic over the past decades, give them no reason to be hopeful. Prayers said for you Farhang Amiri, May God give you and your family many blessings for eternity. The Islamic law of Justice belongs to the stone ages of 1400 years ago. Our prayers are with the family of the Martyr Mr. Farhang Amiri. His soul is certainly blessed in the Abha Kingdom.